Shutter Island exemplifies two of the worst things man fear the most: isolation and paranoia. This movie is not for the claustrophobic, that much is sure. [firstpara] We don’t mean it in the literal sense, but director Martin Scorcese did his utmost best to make sure it feels that way. Leonardo DiCaprio plays U.S. Marshal Teddy Daniels, who along with his partner Chuck Aule, went on an island in Massachusetts to take on the case of a patient who escaped from a hospital for the criminally insane. But only after an encounter with the hospital’s chief administrator Dr. John Cawley, did the convolution start. And from there, as the old saying goes, lies the rub. 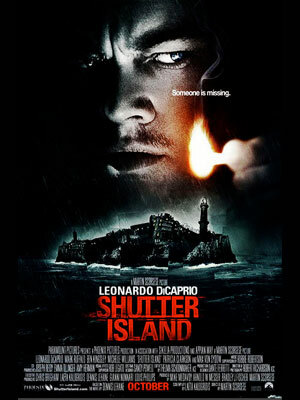 We favor films that can clearly dictate a story in one screening, but with Shutter Island everyone could use a second viewing to be thoroughly enlightened. The film’s twist ending is like the one you eat at a popular fast-food joint – satisfies like a finger lickin’ crispy chicken. After finding out the awful truth, you’ll want to explore and rip it to its very core. DiCaprio has always been and will always be a baby-face, but his trademark sleeked hair, smirked face, and bad posture made his character a bona fide 1950s U.S. Marshal. The “sleek and smirk” type of actor, we often call him. The characters he has played in other Scorcese-directed films like The Aviator and The Departed both expressed fear and suspicion, so choosing Leo to play this part is a no-brainer. Besides, the dude has mastered the Boston accent beautifully. Shutter Island boasts a terrific cast that includes Sir Ben Kingsley, Mark Ruffalo, Michelle Williams, and the guy most fit to be a crazy hoodlum, Jackie Earl Hayley of Watchmen fame. The wonderful set of actors who play these crazies will spook the living hell out of everyone. And by spook we mean the human capability to freak with anyone’s mind. Shutter Island is that awfully ghastly dream you just can’t seem to wake up from, and we mean good by what we said. Despite the lack of mobster and stuff-snorting mafia men, Shutter Island is nonetheless a Scorcese film. Sorry girls: by the looks of things, DiCaprio seem to have found a home in action thrillers and will probably not do any romantic films anytime soon.